404 Error Message. You Don’t Belong Here. 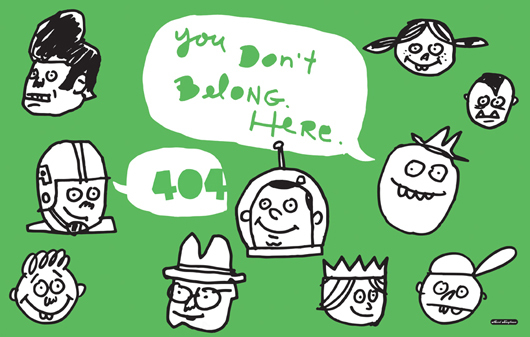 This piece for the 404 Error Message project from Piccsy has been picked up by BranD Magazine in Hong Kong. Coming to your newsstand and mobile device soon.